It’s well past midnight here in Penn’s Woods. Early Monday morning I had posted a preview of today’s reading by Richard Blanco along with a brief history of the inaugural poets who preceded him. So please don’t be afraid to jump back there for a little more history. Briefly, the first one, at JFK’s inauguration recited his poem too fast. Sorry, Mr. Frost. You are amazing, but I am glad you did not read the poem you wrote for the occasion. Instead, you said that with the cold and the sun in your eyes, you couldn’t read your manuscript so you recited from memory a poem you published nine years earlier, “The Gift Outright,” which was by far the superior work. In my opinion, you have always been more crafty than folks give you credit for, so I suspect you realized “Dedication’s” rhymed couplets were not going to cut it, and made the maverick decision on your own to switch gears. But don’t worry, sir, your secret is safe with me. Almost four decades later Bill Clinton selected a poet who could perform her words and capture the audience. Maya Angelou was much loved and much maligned for her poem, and her reading, but I’ve noticed that this maligning thing is kind of a trend, and it doesn’t usually have much to do with the quality of the work. Clinton’s second poet, Miller Williams, though I can find no soundtrack, apparently had some poets cheering. And Barack Obama’s first inaugural poet, Elizabeth Alexander wrote a good poem that was variously criticised, mostly regarding its delivery (See my previous post). But mostly the problem when it comes to public opinion on political occasion poetry istwo-prongedged fork. One, people have been seemingly out of touch with modern poetry, and two, people are divisive and cruel. Just look at some of the horrendous comments on the YouTube videos (except for Frost’s). Better yet, ignore the the YouTube trolls. It’s one of the downsides of our internet freedoms and access; so many people say things they would never say to your face, with anonymity or not. It used to take some effort to make nasty comments, but now you can just fire off an expletive or three, ignore editing for grammar, let alone manners, and hit send. 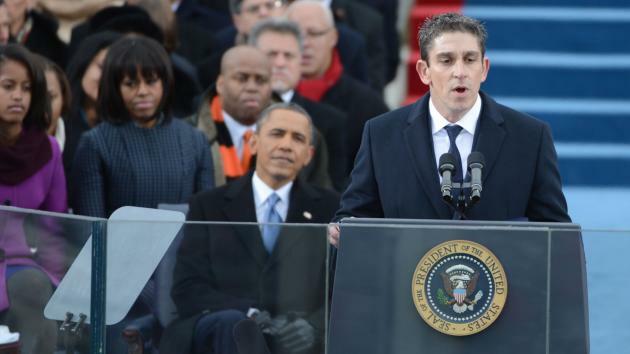 Richard Blanco reads “One Today” for President Obama’s second inauguration. Even today’s poet was subject to the sneers and jeers of YouTubers and Tweeters alike. But that is the nature of the beast. 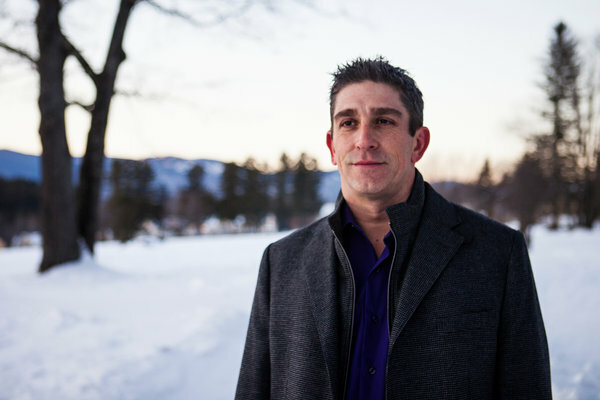 Speaking of beast, The Daily Beast is one of many publications that gave Richard Blanco’s inaugural poetry reading a thumbs up, though you have to get past the opening couple of sentences, and you’ll find several scholars and editors quoted in the article as well, praising Blanco’s efforts. I really do think the poets have a much harder time of it than the other artists. Face it, Beyonce’, James Taylor and Kelly Clarkson were not under the pressure of writing three songs for the occasion, and then having to wait for a committee to approve one. Oh, and Blanco did just that with only a few short weeks notice. Favorable reviews also came from the LA Times who said, Richard’s poem “One Today” was “an intimate and sweeping celebration of our shared, single identity as a people, and Blanco recited it in a voice that was both confident and tenderly soft-spoken.” So, some critics, internet brats and Eric Cantor (who might have just been cold, or had the sun in his eyes, just like Robert Frost back in the day) not withstanding, the reading went well. 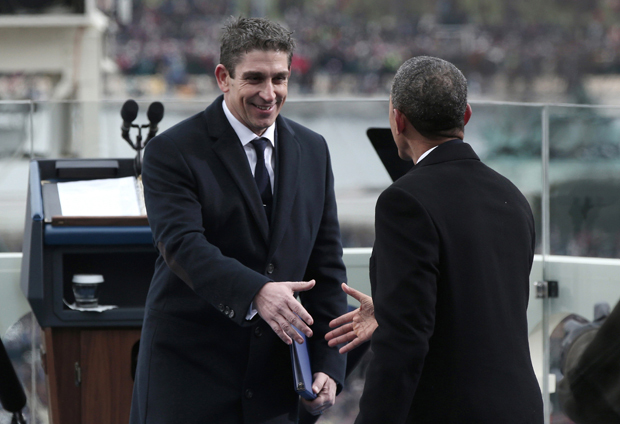 President Barack Obama shakes the hand of poet Richard Blanco after his inaugural poem. Personally, I thought it was wonderful. I am not good at writing poems for special occasions. I never have been, and as one poet said in critiquing Obama’s last inaugural poet, maybe that’s the problem. It’s not fair to compare every new inaugural poet to Robert Frost, especially when he did not even read the poem he had written for the occasion He used instead something that had already gotten a good reception, something written apart from the moment, but perfect for it. That might be a better idea for future inaugural poetry readings. On a close-reading level, I’d like to say that I love the double meaning in the title, “One Today.” That can be read many ways. We are one people today, and we have only one today. This is good stuff. This is, as I am fond of saying, how the poets do it. So, Mr. Blanco, thank you. Thank you for being part of the day, and for moving me almost to tears. Somewhere in an interview you said something (I cannot recall the source) about how being a poet is one of the only professions where it makes you happy to hear you made someone cry. Well, I hope you are happy now. I know I am. Happy, and proud, of you, of President Obama, and of this country. You helped remind us that there is tangible hope, and that there is more to unite us than the small crowd of loud voices who work so hard to divide us. Bless you and your partner, Richard. From my family to yours. I wasn’t sure, when I first heard of the choice of poet -(not knowing his work etc)- and I know his poem has come in for some flak. Personally I got it, and coming as it did after the President’s speech it was all the more powerful and poignant. Probably some will feel it wasn’t clever enough, suficiently sophisticated and difficult to understand by everyone, but they are wrong, he was clever, and subtle enough in places. He delivered something that was for all the people, the essence of the theme and speech by the president too.His voice and delivery too were so very engaging, I loved it. I agree, Vincent. His work seems deceptively simple, but it’s more complex than it appears. Reminds me of something Toni Morison said, “If the work shows, the work wasn’t done.” His “Mother Picking Produce” is one I keep going back to. His depth of soul in these poems is what draws me to poetry in the first place. Some poets should never be allowed to read their own poems aloud. I was so excited to learn that Carol Ann Duffy was to read at my degree ceremony. I have never been more disappointed. She mumbled, didn’t look up and killed the poem she had crafted so beautifully. I’m glad you didn’t have that experience yesterday. I love the symbolism of the two Bibles used. The President is a class act. I agree. And it’s funny how some poets read, and I think, no, no, that’s not at all how it sounds in my head, but when poets like Billy Collins or Richard here read their work, I think, yes, yes, that’s how it should be. Haha, Brian did the same to me. 🙂 Thank heaven for video, so we can replay. The poem reflected well the President’s own theme and a message critical for the country to move forward as a nation…thumbs up from this part of the country. Thank you! I just love your visits. Oh, this was so well done. I was extremely upset by some of the smearing, as it was a beautiful poem, read by an amazingly gifted man. Well, it seems what they do. I hope he was ready for the bull crap those idiots say. And I hope he ignored every word. An uplifting message. I’d have been a little more subtle with the Sandy Hook reference. I feel it will tend to date the poem, but it is a relevant issue of the day, so no matter. Overall a well-delivered offering. I just don’t know how much historical weight it will carry. Better poems than this have become historical footnotes. But I liked it very much, I don’t understand the haters. Reviewer is correct that society today is disconnected from modern poetry (para. 4), I’m just happy we keep on trying! Agh! I think there are beautiful parts to the poem, but I found it quite long for a spoken occasion of this kind where it was, of necessity, so very loudly amplified. The amplification (at that level) seems to require one to go fairly slowly, and this poem is so Whitmanesque, that it was hard for Blanco to read at anything other than a fairly rapid clip. So I confess to being a bit snipey– I like him and his tone and his other work (that I’ve read), and I like the message and I am a supporter of what he supports, but I felt like it would have been more effective had he been able to cut it somewhat. It’s just too hard for people to take in so much aurally and with the mikes and cold outside! Anyway, I’m really glad you enjoyed it and spoke out. k.
I tend in general to feel like poets need to take some care with length! That was my only complaint – that the lines that stood out got lost in extra lines that on paper are interesting, but that I, at least, found very hard to absorb when listening. I think he’s a good guy and a good and earnest poet, and certainly his message was good. k.
Yes, I have the same problem even with reading. If I come across a short poem, I am more apt to read it right then and there. The longer the poem, the more I am likely to start wondering if I am up to reading the whole thing. We are used to shorter blips of information these days. But also, you make some good points for other reasons; there were apparently a few technical problems with echo and mic for people that day, and as you said, the cold, etc. Check out John’s comments on this and my response. I think this is something to think of for future reference. After all, what the singers performed, we were already familiar with. Perhaps part of it is the length and the familiarity that would help with continuity. What if the next poet released his poem the morning of or the night before, so that people could read it first, or if it was printed in some sort of program? Yes, I was thinking that that would make a huge difference. Even to have printed on one of those jumbotron screens. Although it may still have to be a slightly more spare poem. I think if one is to get a long poem across at a reading, it is helpful if it has some kind of narrative like a story. This again is something people can follow a bit better. It’s a complex situation technically – this was my complaint re Blanco – I can understand that he wanted to write the poem he wanted, but then he had to deal with conditions of the day. Of course, printed up it is easier, and as a historical record, it will be the printed poem that counts. But I felt that he missed an opportunity to make a statement that might be more memorable in the moment itself. I’m not saying I could have done it! It’s very difficult! And I think it’s hard to quite realize what it will be like if you are not familiar with those mic conditions. Anyway, all interesting. k.
Those are great comments. Thanks! I really appreciate it. I have sort of an unspoken rule with my YouTube videos. I try to keep them to about 4 minutes at the most. The shorter the better, mostly because of people’s attention spans for that medium, even if it is not a poem. My most notable exceptions have been for Walt Whitman’s “Song of Myself” (I only read parts of it and it was still 11 minutes long!) and Wallace Stephen’s the “Man with the Blue Guitar.” Sometimes, for a mixed medium, or if I think I can pull it off, I’ll flirt with the five minute mark, but yes, six plus is usually a bit much, and that’s under climate controlled conditions. I am also planning a reading of “Lady of Shallot.” I have it timed at just over 8 minutes now, but I’m hoping that what you said about the motif being a story will help me pull it off. I find his poem very moving in parts, but maybe too long to sustain that emotional load. Yes, loved the verse quoted above, the verse you mentioned and really enjoyed your discussion to start with – lots to think about…Enjoyed the Frost anecdote! love that sort of hidden detail..
Again, we are not used to long poems. As I said above, we can be glad Frost decided not to (or was unable to) read the 77 lines, I double counted, of his other poem “Dedication.” Thanks for reading and taking time to visit awhile. I enjoy your blog! Richard Blanco, you had me from the first word. And I too love the many meanings of the title. Thanks for your thoughtful review of the momentous day. Looking forward to delving further into Blanco’s poems. My thought, agreeing with you, that we aren’t used to long poems. At least we are not used to listening to long poems. I have a tough time listening to something this long because I hear a line, or am struck by the imagery, and my mind gets involved with the line, or the word, tuning out the reading, then, by the time I’m ready to listen again, I’ve missed some, and the thread of the poem is lost. I do better reading first, then listening … or, reading along while the poem is read. Seeing the words on the page guides me along, keeps me focused, and assures me that I can go back to the line, or image, again… When just listening, as I did with Mr. Blanco’s poem, I was so busy trying to remember parts of it that I lost track of the overall poem. I watched it later in the day, and read the poem while he spoke, and it was a much better experience for me. I was thinking of some thoughts in that same vein today. Some of the problems a few people had were also the echoing of the microphone in the crowd, etc. This is why I think it worked for Robert Frost. Not just because he was already a national treasure, but because he did not read the poem he wrote for the day, but instead at the last minute recited one that many Americans may have already heard, one he had published nearly a decade before. There was a poetry reading I went to in college once where the poet passed out written copies of what he would read first, so that if we chose we could read along with him. I liked that VERY much, especially since poetry is an art of lines, and so there is a certain visual as well as auditory element often times. I loved the reading too, though I don’t think I mentioned that in my post about the inauguration. Blanco is definitely going on my list of contemporary poets to pay attention to. I’ll get back over there and read your inaugural thoughts. I have been so out of touch with things since last Monday. Thanks for chiming in on this one! I wish Obama proved to have been as moving; instead, his presidency has descended (and, I’m afraid, will descend further) into doggerel. But I voted for him…twice; having the opposition in the White House would’ve been absolutely unthinkable. However, we’ve been reduced to a lesser-of-two-evils style of voting. A political quagmire that eventually sinks into a sort of leadership by default…which is anything but democratic. Well, if we had a congress who hadn’t made it their express mission to combat every thing he did, we’d have more done. I don’t fully agree with you on this one, but I understand where you are coming from. And yeah, the other candidate would have been a nightmare. Richard Blanco got some flack from the expected places, as well as some from people who surprised me. I only hope he was prepared for that, and that his armor remains solid. I like his work very much.